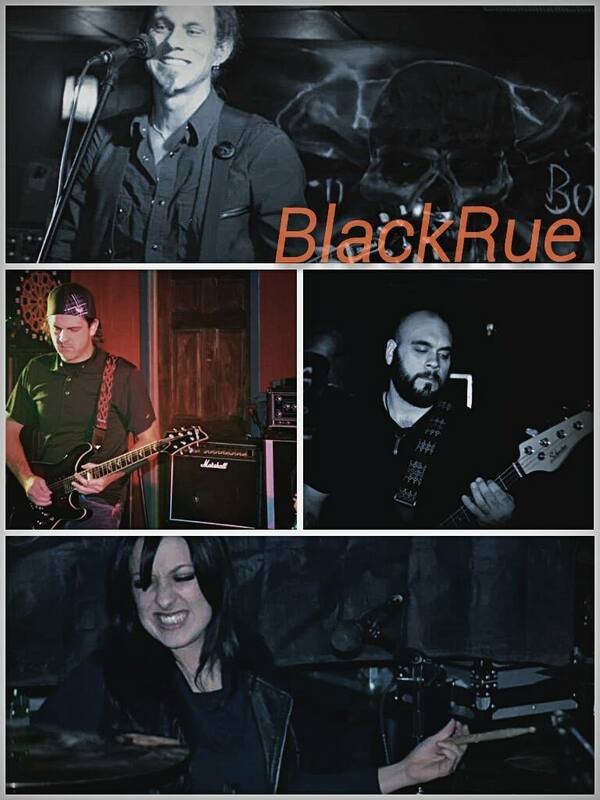 You can describe the music of BlackRue as Rock alt country with a twinge of Punk attitude. Since 2010 the band has close to 200 performances under their belt and have been the opening act for national acts like Bret Michaels, Days of the New, and Wheatus. The band leaves no stone unturned. With a newly trademarked name and a constant drive to learn and grow in the business of music the band has found itself gaining fans all over the Philadelphia region. Since it’s release in November 2013 the band has sold hundreds of copies of its debut Ep “Confusion” by Grammy nominated producer David Ivory leading to a sold out Ep release party on Nov, 9. It has far exceeded expectations. Songs off the Ep such as “Last Chance” and “Confusion” have been receiving airplay on both 95.1 wzzo Allentown, PA and 93.7 wstw Willmington, DE. David who has produced such acts as Patty Labelle, Halestorm, Silvertide and The Roots has given us the tools needed to perform our music on any stage and win over any crowd. We continue to work with him and have signed onto his label, Flexitone Records. The new Ep is now available on Itunes. BlackRue formed when frontman Buck Reed, fed up with the lack of serious musicians in his hometown built a studio and started filtering through the local talent until he found bassist Matt Stabley. When realizing that Stabley was the real deal, together they forged ahead until they found the other like minded musicians, Brianna Sig on the drums and Blaine Alderfer on guitar. What sets us apart is the honesty in our songwriting. The fact is that not everything you create is good or will go over well. You have to be honest with yourself. We are influenced and love bands like Social Distortion to Dwight Yoakam and the Decemberists. From the singer songwriter and classic rock to today’s hard rock, it is all a huge influence on us and all culminates into our unique yet familiar sound.